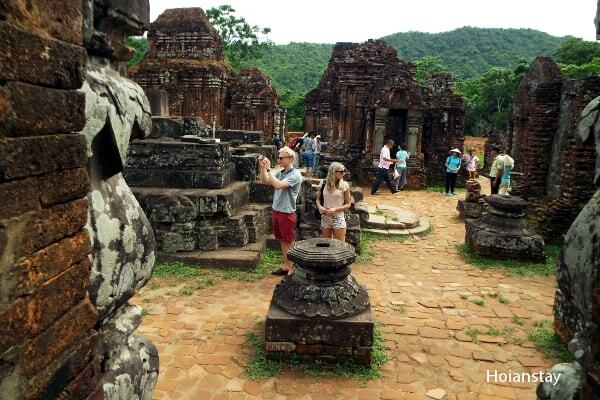 Coming to Quang Nam province of Vietnam, visitors always go to the HoiAn ancient town and My Son Sanctuary. The both places are recognized as UNESCO World Heritage. If Hoi An enchants visitors by colorful lanterns along downtown streets by night and crowded streets as an merchant port, the charming red towers in My Son surely amazes everyone in the sunset. 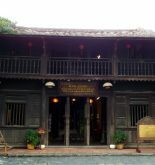 After visiting Hoi An, the must place to go next is definitely My Son. According to the inscription in this place, My Son’s history begins with the wooden temple in the fourth century. Then it burned away but we did not know the reason. By the seventh century, a different king offering and was built a brick temple. 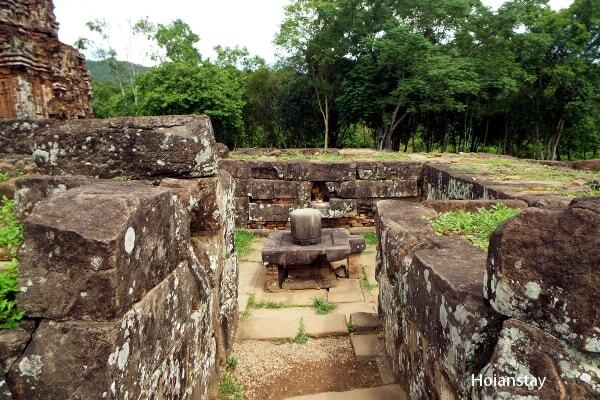 Since then, the Champa dynasty repeatedly offered the temples. The historic buildings in My Son extending from the first temple in the seventh century until the last temples in the thirteenth century. 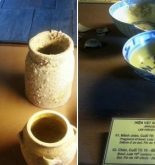 Over seven centuries, temples and tower were built and repaired repeatedly. Should the artistic style and its architecture also shows the transformation of the architecture Champa. Over time and wars in history, many temples have been destroyed or damaged. Nowaday, only a few temples remain intact. All the temples are made of baked bricks or sandstone that fit together without using any binder. Although My Son Sanctuary is not as grandiose as Angkor Wat (Cambodia), it plays important role in the South-East Asian art. 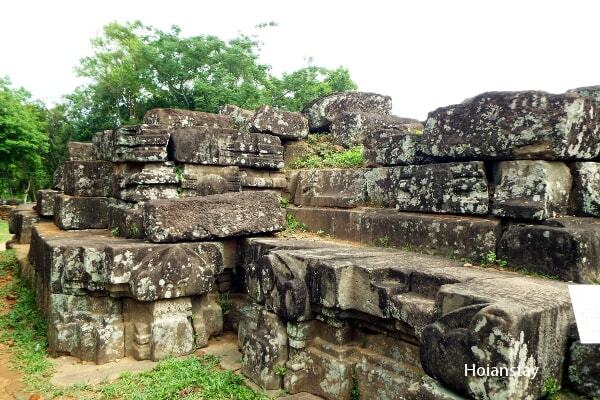 Because of the outstanding universal value, was recognized as the World Heritage in 1999. 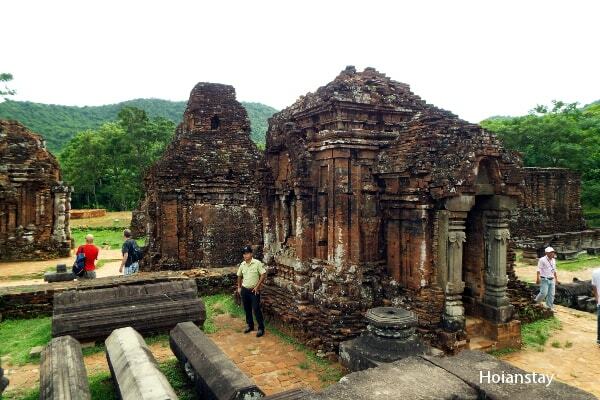 My Son is about 45 km from Hoi An, about 70 km from Danang. To get to My Son Sanctuary you can take a public bus, taxi, motorbike, or book one day tour. You can rent a motorbike, only about $10 / day. 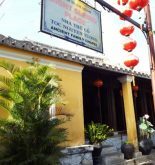 In Hoi An, the starting point is Hung Vuong Street. You follow this route: Hung Vuong – Nguyen Du – Cau Dieu old bridge – National Highway 1 – Huong An crossroads – DT610 road – My Son. To get in My Son Sanctuary, visitors need to buy a ticket. The price updated in October 2017 is VND 150,000(equal to about USD 7). The price is reasonable for tourists to come and explore the an amazing architecture, admire the creativity of the ancient Cham people.